We are leading and oldest manufacturers of Flexible Packaging Material in Ahmedabad (Guj.) India. We also offer complete range for packing Detergent / Washing Powder from 30gr till 10 Kg either in Roll Form as well as Pouch Form. 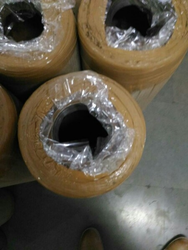 Kraft paper Laminated woven fabric is widely used for packaging of PVC Flex Banner Rolls, PVC Flooring, making paper bags etc. It protects from moisture so as good quality Printing is Possible on PVC Flex. We have gained immense experience in this domain by manufacturing and supplying a wide assortment of Pesticide Packaging Materials. These products are manufactured using high quality plastic and advanced technology. The offered range is available in different sizes, colors and designs to meet the various demands of our clients. 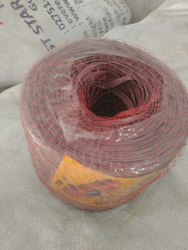 Material :- C.I / C.S / S.S 304/316 Size :- 1" to 12"
Manufacturer and Wholeseller of the Air Bubble sheet Bags, PU Foam, PE Stretch Film, LDPE Liner, Pallets, XLPE Foam Sheet.